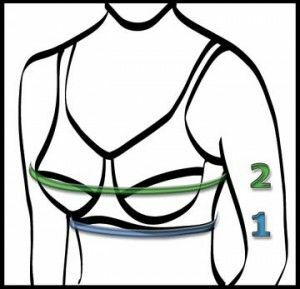 Finding the right size bra is often a trouble for many women; estimates are that about 80% of women wear the wrong size bra. This is not healthy for your breasts – especially if the breasts are in a too tight bra. The silk bra at paradise-silk.com are mostly in Asia size, the cup size may one size smaller than US size. So you need check the size details in the listing. want this measurement to be as small as possible. The number indicates the 1 under bust size. You can find the Band size in the below chart.